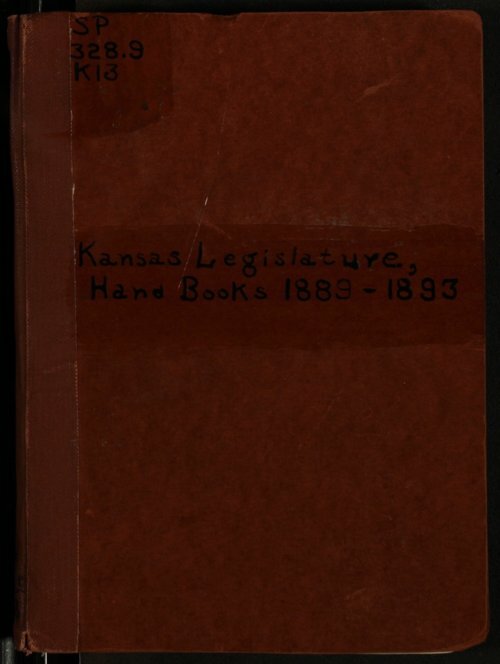 This bound volume contains hand books for the Kansas Legislature for the years 1889, 1891, and 1893. It includes a directory of elected officials, a roster of members of the Senate and House of Representatives listed by district, districts indexed by county, and lists of Senate and House of Representatives committees. The hand book explains the organization of the Kansas Legislature, how officers are elected, leave of absences, and compensation. The years are in reverse order in the volume--1893, 1891, and 1889.